With her sixth place finish at the Midwest Regional on November 29th, Eureka’s Hannah Long earned her third straight trip to the Foot Locker Cross County High School National Championships. The senior’s finish kept two streaks alive; her own, while also making it seven straight years a Missourian has qualified for Foot Locker Nationals. The Stanford signee is just the second Missourian to qualify for nationals three times and is looking to join three others who’ve earned All-American honors (top 15 finish) at least twice. * Long joins Hazelwood Central’s Megan Thompson, a four-time finalist, as the lone three time finalists from the Show-Me State. Long has gotten to know Thompson a little bit over the last year, and the two posed for a photo at the State Track meet last May after Long broke Thompson’s long time state meet 1600 meters record. Three weeks after her third straight Missouri Class 4 State Cross Country title, the Pacific, MO. native ran to a sixth place finish in Kenosha, Wisconsin. Long finished fifth in a flurry of six girls that finished from second to seventh in a 14-second span. The finish follows her 5th place regional finish in 2013 and a 7th place finish in 2012. As a freshman, Long finished 11th at regionals, and just missed joining Thompson as a four-time national qualifier by three seconds. Although she finished one spot better last year at regionals, Long appears to be coming off her best regular cross country season. Long skipped a third trip to the Great American Cross Country Festival this fall after a runner-up finish as a sophomore and a victory as a junior. Instead Long was dominant all through-out fall and added college visits and a college decision to her calendar. One of Long’s many impressive races came at the Missouri Southern Stampede. Long won the 5k race by 1:22 on the Tom Rutledge Course, finishing in 16:51. That performance was two hours after the University of Arkansas’ All-American Dominique cruised to victory in the cooler, early morning temperatures. Scott finished in 16:32, to win by 26 seconds. Long’s time would have placed her second in the women’s race and her time bettered that of at least two NCAA Division I track and field All-Americans. Scott went on to place 6th at November’s NCAA Division I cross country championships. At the state meet, Long had to endure three restarts in the Class 4 girls race. Combine that with wind gusts in the 20-30 mph range, and she came up just short of the Taylor Werner’s state meet course record. Long still managed an outstanding time of 17:38 to win by 31 seconds. Long is looking to improve on her sickness tainted 23rd place finish in 2013, and her second team All-American 10th place finish in 2012. No matter what occurs, there’s no doubt Hannah Long is one of the best all-time Missouri high school cross country runners. Saturday in San Diego, Long will look to prove that she’s among the top handful of ladies in the country, and add a little more icing to the amazing cake that is her high school cross country career. 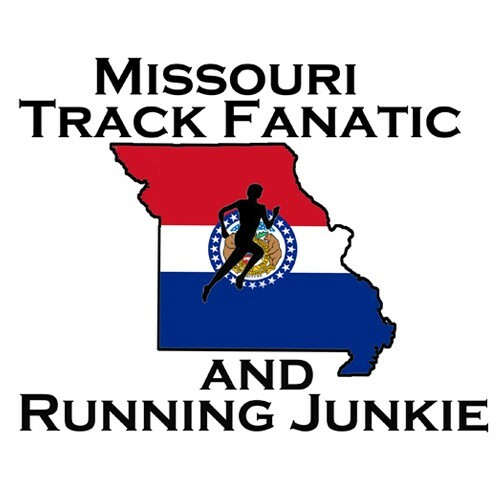 Twenty-six Missourians have made 38 appearances at the Kinney/Foot Locker Cross Country National Championships. The group includes 16 girls and 10 boys, with girls making 27 appearances and boys 11. Twelve Missourians have earned All-American honors, while three Missourians (Megan Thompson 3x, Amy Wiseman and Taylor Werner 2x) have earned multiple All-American honors. Long is a three-time finalist, and just missed being a four-time finalist. As a freshman, Long placed 11th at the Midwest Regional, missing a trip to nationals by just three seconds. *Emily Sisson is a four-time Foot Locker Nationals qualifier, twice while living in Omaha Nebraska, and twice is Missouri.